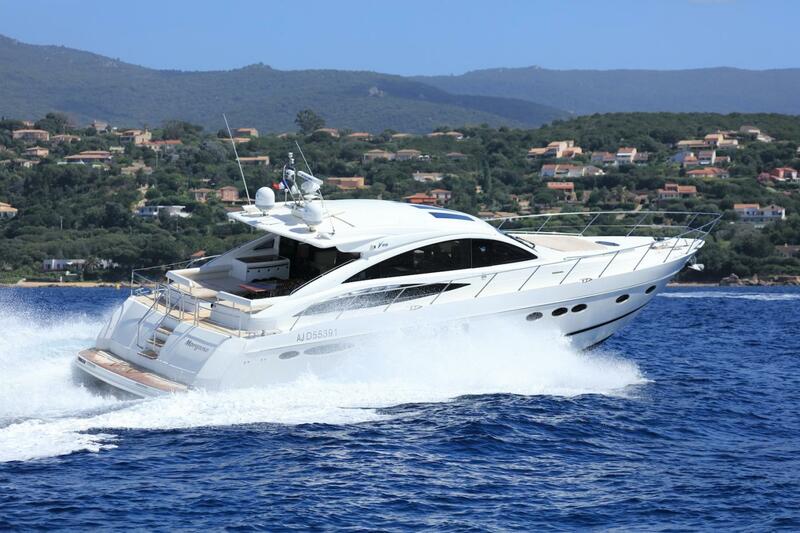 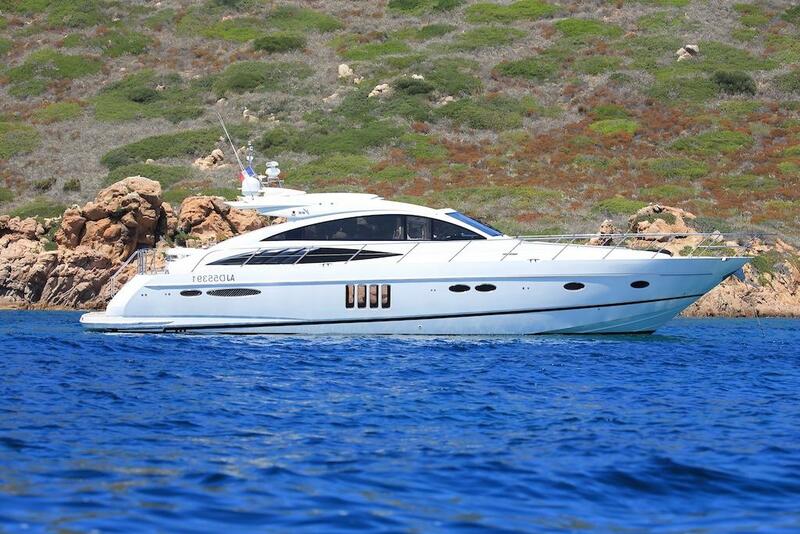 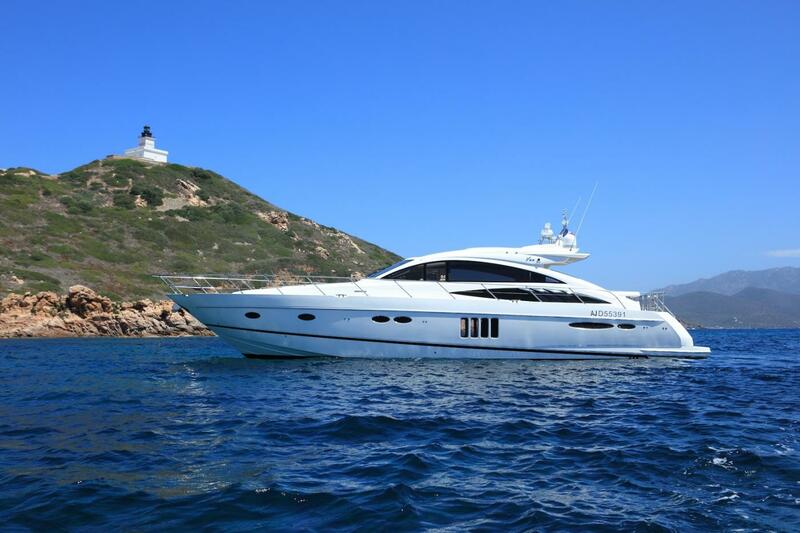 20m/67ft open yacht MORGANE from Princess Yachts was built in 2007 and last refitted in 2016. 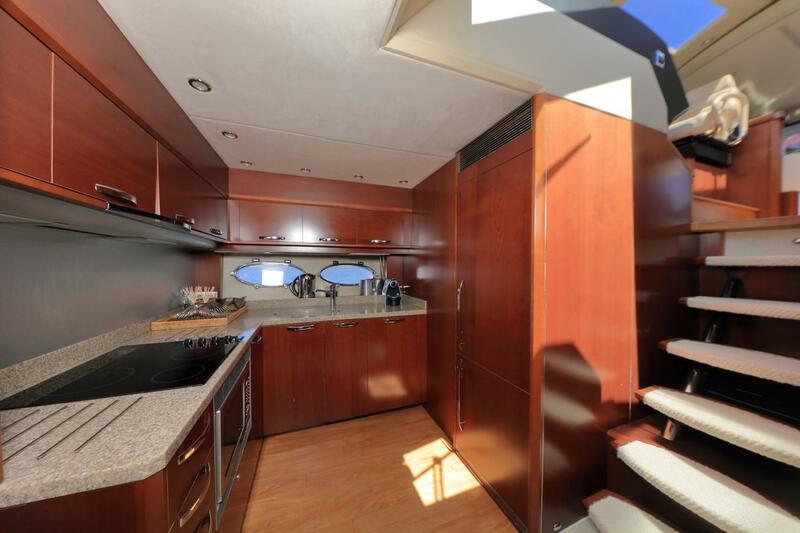 The interiors use light and classic styling with an abundance of windows in the main deck saloon for comfortable cruising with 11 guests and accommodation to sleep up to six guests over three spacious cabins. 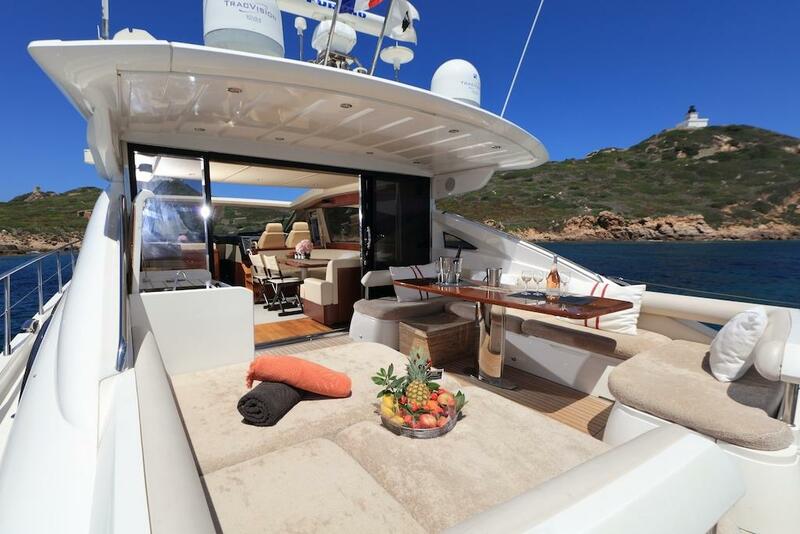 The lower deck swim platform provides easy access in and out of the water and after a swim, the group can dine alfresco in the shade of the main deck aft, where a padded C-shaped sofa is integrated into the starboard side with a raised table and a sun pad is positioned opposite. 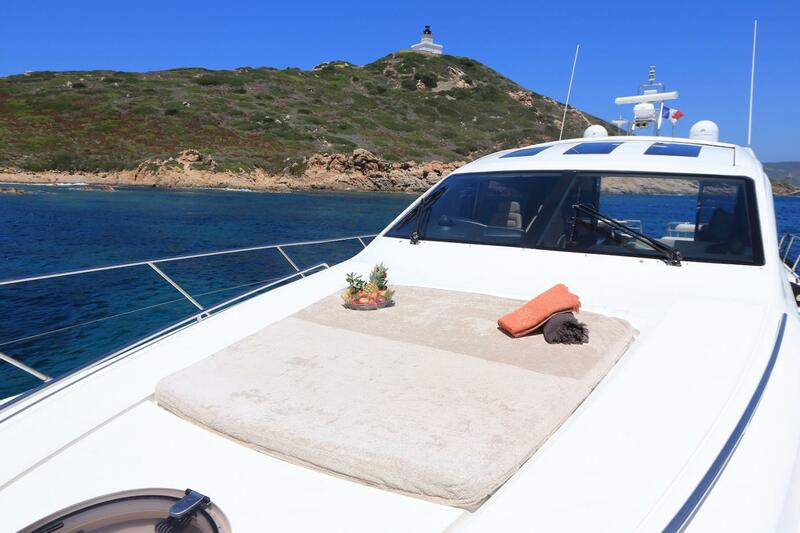 The bow is also fitted with an additional sun pad for guests to spread out and enjoy time apart while taking in the stunning surrounding scenery. 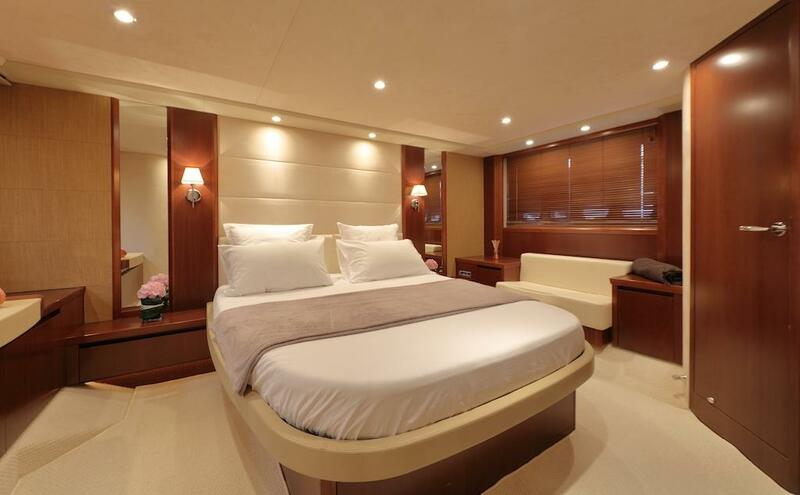 The lower deck contains the crew accommodation engine room and the guest accommodation, which consists of a large Master suite, a double cabin and a twin cabin that all have en-suite facilities. 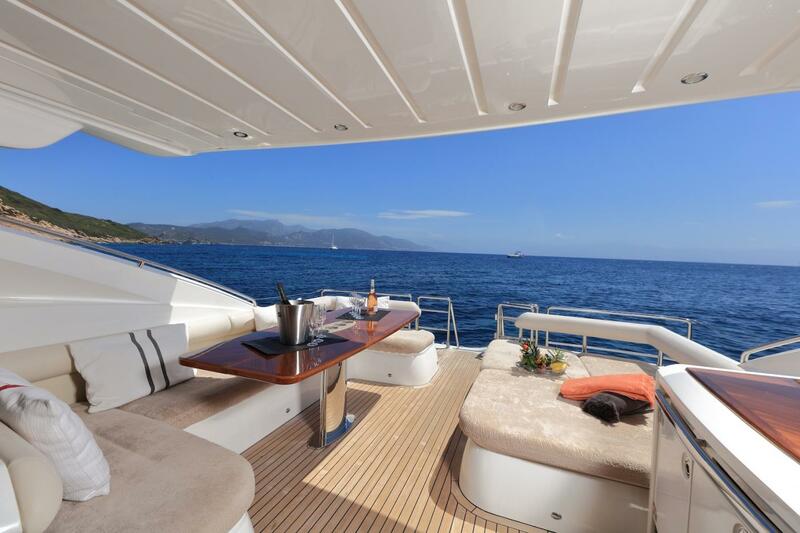 The main deck is light and spacious, with the roof section above the helm station and C-shaped dining area opening up to the sunshine and fresh air. 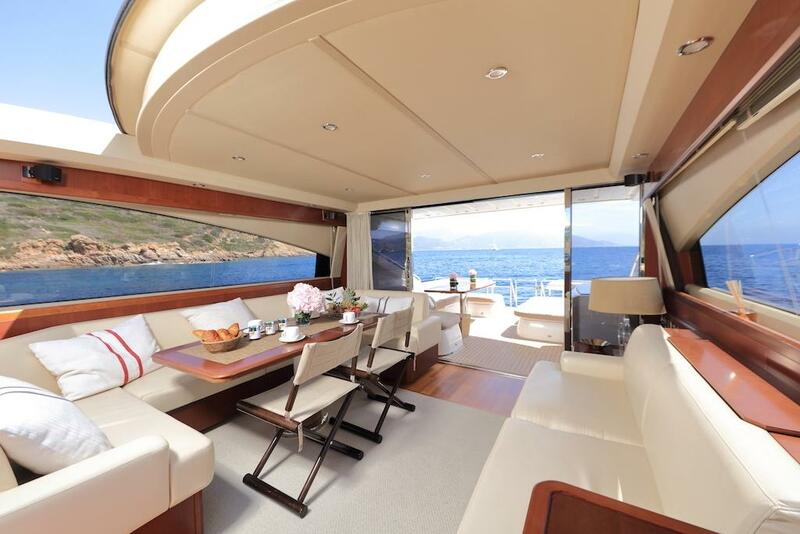 Windows span the length of the interior and guests seated on the C-shaped sofa with the elevated table or the sofa opposite have excellent views of the surroundings. 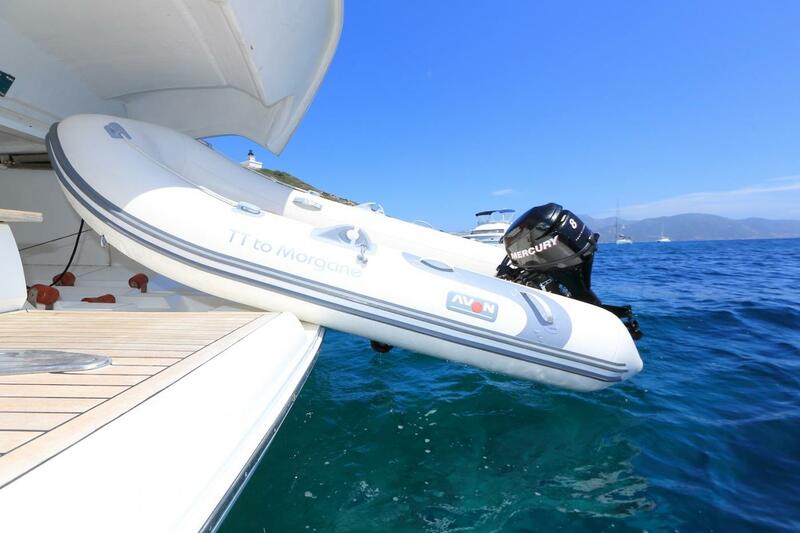 Twin MAN engines producing 1100 HP each provide a cruising speed of 23 knots and a top speed of 28 knots. 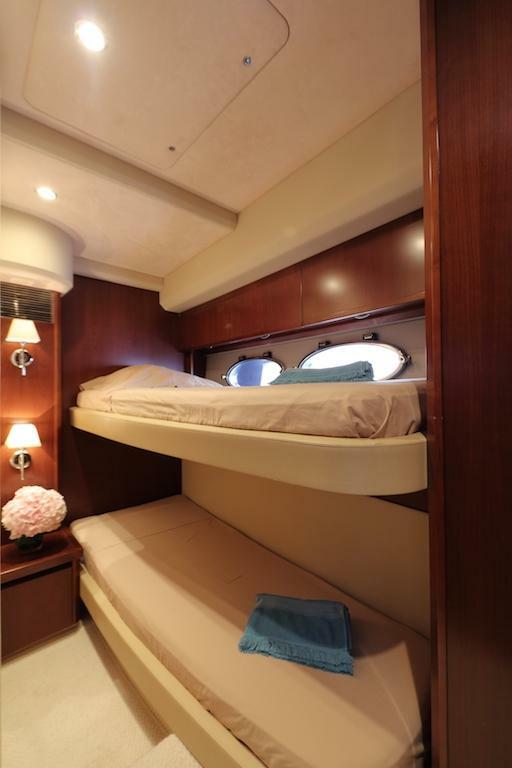 The accommodation sleeps a maximum of 6 guests over 3 large cabins: 1 Master suite, 1 double cabin and 1 twin cabin. 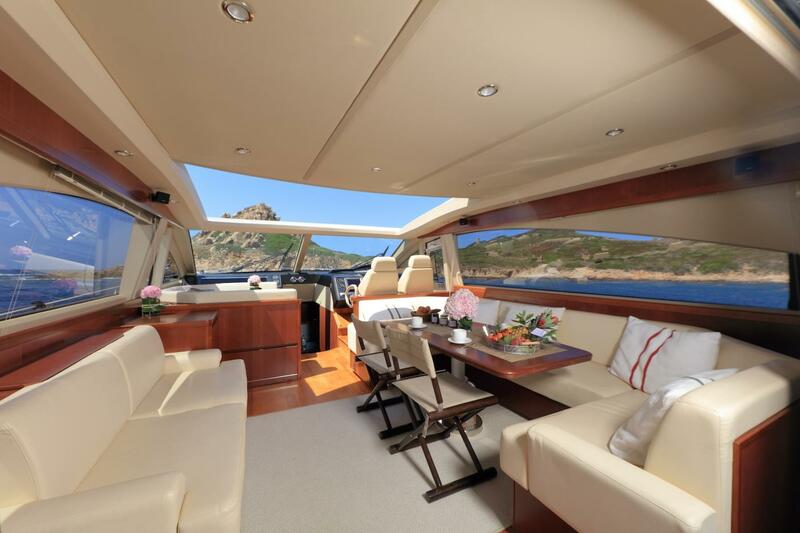 The crew of 1 will take care of all the details while guests are on board.